And that’s honestly one of the things I love most about Gwynnie Bee. 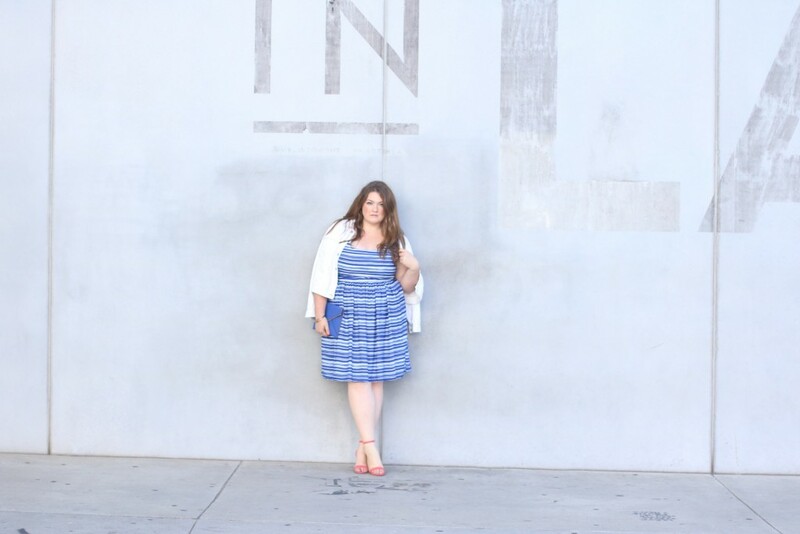 I get bored easily with some of my dresses and instead of spending my money on items I more than likely won’t wear again, Gwynnie Bee allows me to simply return and exchange for a new item. 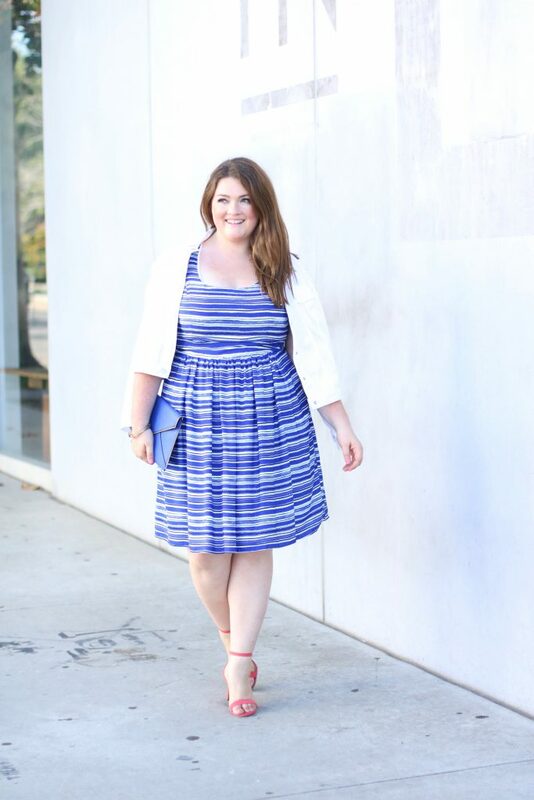 I paired this dress with my white denim jacket and coral sandals for a pop of color. This post is part of my ongoing partnership with Gwynnie Bee. The blue is not too light or too dark. Love this dress, it feels so summer!